Welcome back, it’s just started the month of June, summer is approaching and I wanted to propose you a nice cheat for SOLex Stone of life. A few days ago i put this game in the list of Top Android free RPG offline games considering it one of the finest offline RPGs currently available for the Android world. If, having followed my advice, you downloaded SOLex Stone of life and you are in trouble, this cheat is for you. In this case, I will describe you three possible ways to use Cheat Engine on the game. In particular, we will increase the experience, the amount of skill points that can be spent on skills and the activation of infinite mana. Here you will find the complete video tutorial on the cheat. 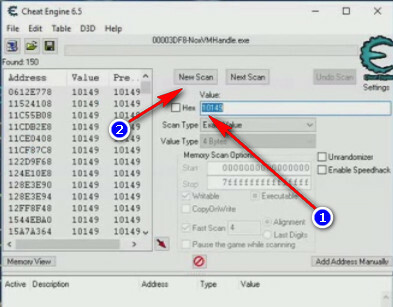 If this is the first article you read about Cheat Engine in my Blog, I briefly introduce the tools needed to create the cheat for SOLex Stone of Life. In particular i recommend the first article if you have never used Cheat Engine, otherwise you can safely continue reading. I also remind you that the cheats were created to work on the emulator. The SOLex Stone of Life‘s first trick regards with your character’s experience. 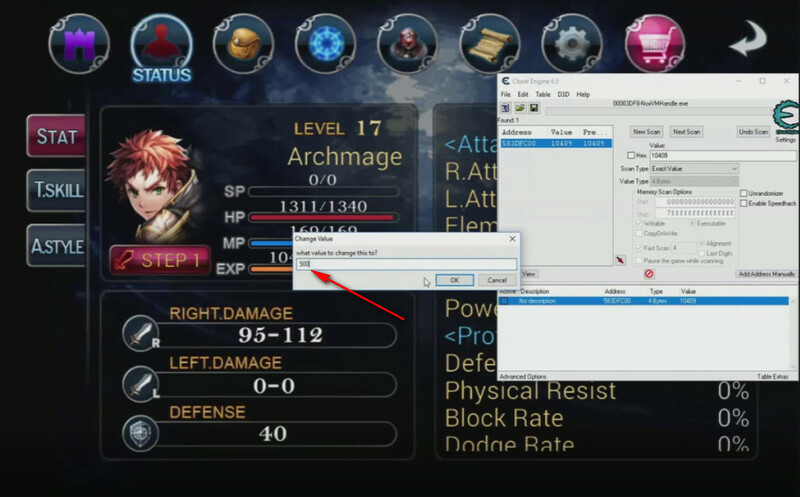 Start the game using the NOX emulator and turn on Cheat Engine. Increase in the game experience of your character and jot the new value. It will be used for the new search. 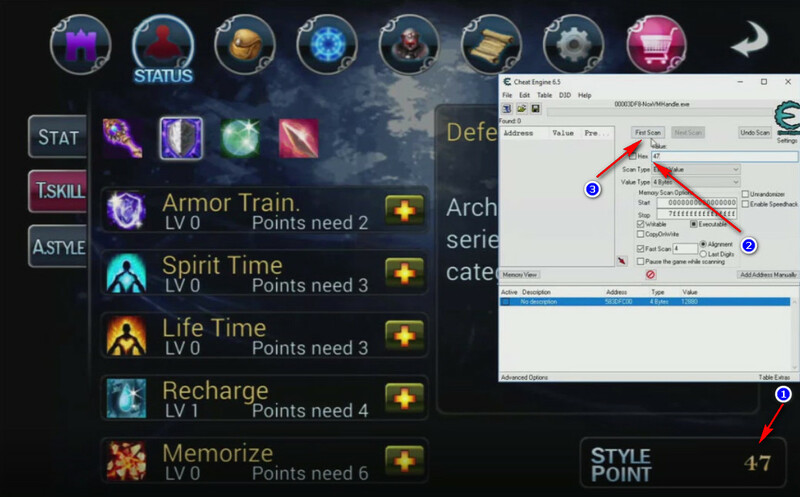 Let’s select Cheat Engine again and insert the new value as seen in the previous figure. This time we will not use “New scan”, but the button to the right “Next scan” that continues the search by filtering on the new value provided. The result we get is almost for sure a single address to use for the cheat. If the results are multiple, we will have to continue looking for more steps as we have done, reducing the results to be tested. At this point we can change the value of the address found. The result will be the increase of your character’s experience. In order to increase your level, if you have enough experience, you must fight to unlock the gained experience. Though the rise in level may make many gooe, it is likely that you want to push it further. And what’s better if you do not increase the character skills of our character on SOLex Stong of life? We continue in the same way already seen for the experience. We identify the amount of skill points (1) available to us. The result, without much luck, is a very tidy list of addresses. We use this new value for the search. If we are lucky, we will get a single address value found, otherwise we will have to repeat what we have said so far to reach a decent number of possibilities. Last trick for today at SOLex Stong of life is about mana block. 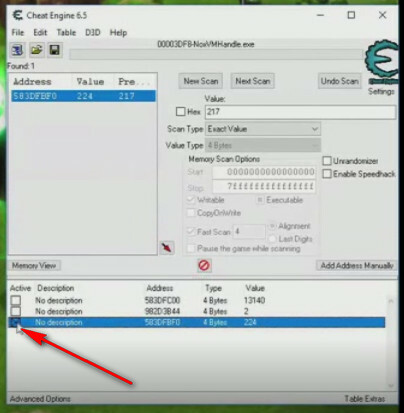 Specifically with this cheat, we can block the mana decrease by using the blocking feature made available by Cheat Engine. 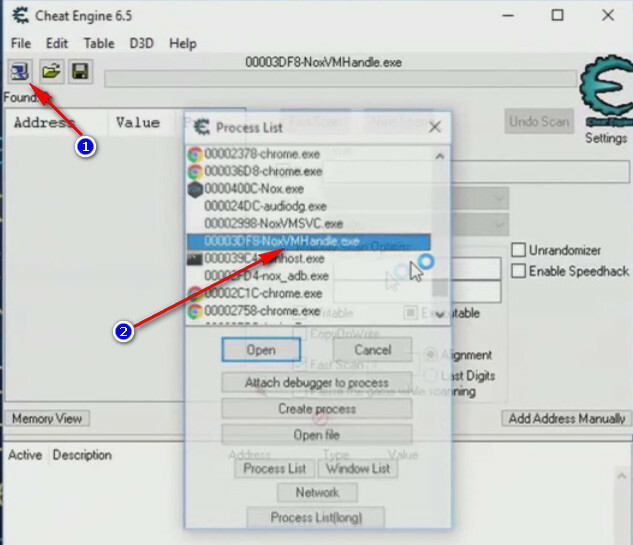 We certainly understand that the first step to do is locate the mana value in the application and use it for search on Cheat Engine. Then we change the value in play, we use the new value for the search and repeat the operation until one value is obtained. 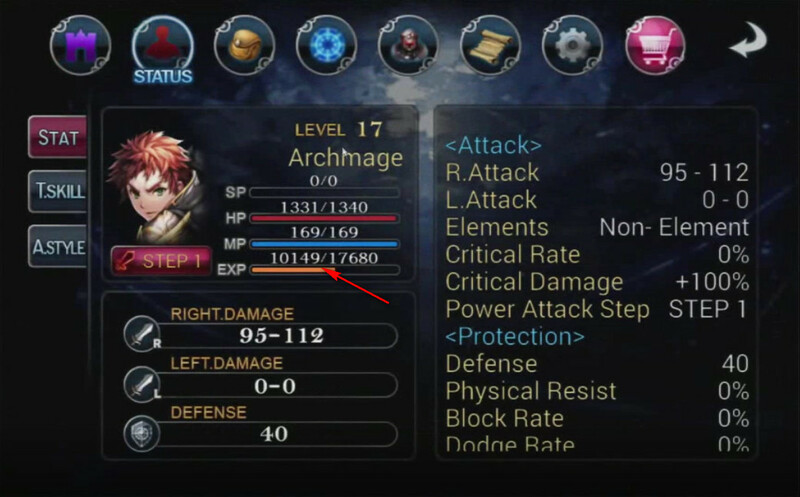 From now on, any skill you use will not require mana, or rather, requires it, only because of the cheat, the mana returns to its maximum. In this article you have seen how to change the values of SOLEX Stong of life in its various aspects. If you overdo it with the values created with the cheat, the gameplay certainly suffers. Only then can you be strong, have fun and do not risk making the banal play. If you liked this article, please remember to sign up for one of my pages and my YouTube channel. This way you will be constantly updated on my latest articles.